Whether you’re looking for Private or Corporate Catering, we provide a high quality service that you can rely on. 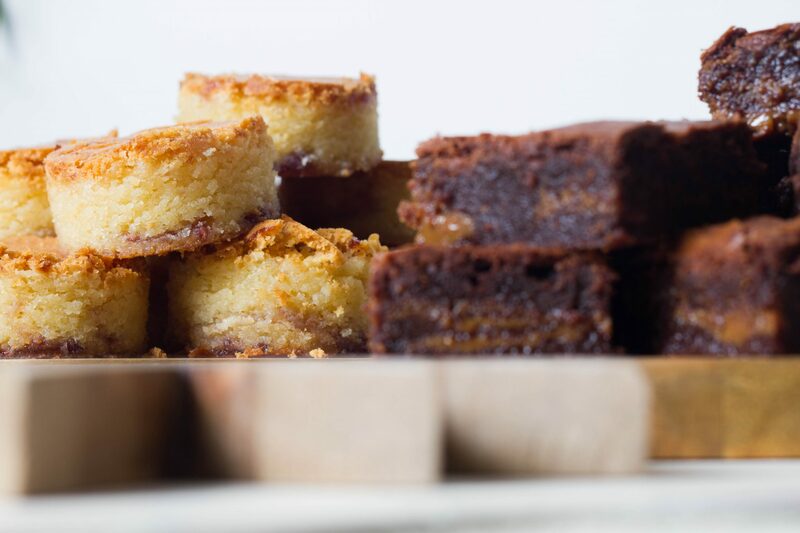 Here at The Boho Bakery, we have always had a tendency to focus on the sweet things in life and have traditionally produced cakes, traybakes and delicious desserts to brighten any event, meeting or Monday morning. Indeed we continue to do so, constantly developing our selection in order to ensure that we move with the seasons, using locally sourced ingredients, and ensuring that our customers never get bored. We have, though, recently been informed that sugar is not the only major food group; a discovery which has led us to develop our all new, all singing, all dancing extended catering menu – now featuring savoury delights in addition to our traditional sweet treats. Below is an example menu, to give you an idea of the kind of things we do, get in touch for a copy of our complete catering menu, including prices, and we’ll get one emailed over to you pronto. Please do bare in mind though that even our extended catering menu is not exhaustive. We specialise in the bespoke and love to work with our customers to ensure they receive a product unique to them and their event. In the past we have been asked to create many themed menus to add a culinary dimension to special events… sparkling shortbread, gold dusted meringues and film reel cookie canisters really set off a recent ‘show business’ event we catered for. Get in touch with the details of your event and we’ll conjure up a Boho menu just for you.